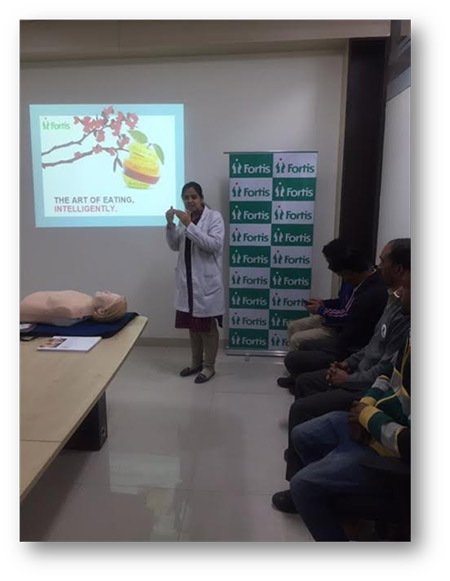 A session on Basic Life Support & Diet Counseling was organised at Wipro Consumer Care & Lighting, Baddi. Sister Jaspreet & Sandeep, nursing educators, demonstrated and explained importance of first aid training and basic life support. Dt Abhilasha explained how diet is important and what changes are required for individuals to lead a long and healthy life. The session was attended by 35 people.